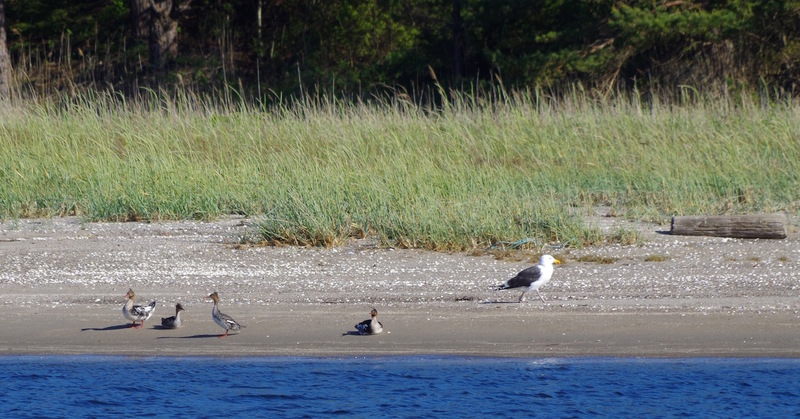 Four juvenil red-brested merganser, on a sand shore that soon will transform into a tourists' paradise. For a couple of more days, it belongs to the birds. 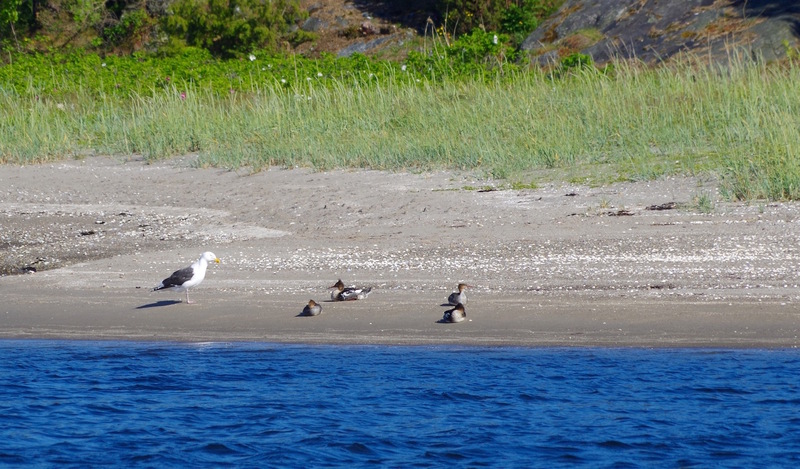 The great black-backed gull was probably hoping for dinner, but had to make other plans. You can almost see how disappointed he is! Kosterhavet National Park, on June 10, 2015.